Claire Randall, a married WWII combat nurse, is mysteriously swept back in time to 1743. She’s forced to marry Jamie Fraser, a chivalrous and romantic Scottish warrior, and her heart becomes torn between two extremely different men in two irreconcilable lives. Outlander was created by Ronald D. Moore from the best-selling books by Diana Gabaldon. My agent called to say Outlander, Season 2 was ramping up and the production office had called to check my availability. I was one of the camera operators that shot the entire first season of sixteen episodes over a period of twelve months starting September 2013. Season 2 would shoot over a period of nine months and we’d produce thirteen episodes, including Prague as a stand-in for 18th Century Paris. Our heroes Claire Fraser, Jamie Fraser, and Murtagh Fitzgibbans, played by Caitriona Balfe, Sam Heughan, and Duncan Lacroix respectively, had escaped to France at the end of Episode 16, so the first part of this season’s new environment mandated a different look and feel. Last season originated on the Arri Alexa platform. This season we went to the Amira platform for “Paris” at 4K then to the Sony f55 at 4K (more on this later) for their return to Scotland. Most of the camera team returned from Season 1 (always a good sign) including; DP, Neville Kidd, camera/Steadicam operator, Ossie McLean, but we were going to add a 2nd DP, Steve McNutt ASC, CSC, who would alternate with Neville. The season’s shooting schedule was divided into six, twenty-eight day shooting blocks, with a change of director and DP for each block. The prep for each block usually overlapped with the shooting of the next block. Since it’s customary for camera operators to attend the tech scout and to fully engage in any pre-prep and testing, Ossie and I also alternated A camera duties for each block of filming. Behind the scenes with camera operator Andrei Austin. © 2014 Sony Pictures Television Inc.
We also had returning directors, Metin Huseyin and Mike Barker, and new directors, Douglas Mackinnon and Philip John. As we all know, every director and every DP has their own style and modus operandi, so I find it fun to work with different people. Steve lights and plans his strategy mostly for single camera, whereas Neville will use at least two cameras for coverage. I like to do my own breakdowns and from that produce a camera equipment list over and above that which we carry as standard. I also upload this to a cloud-based calendar so the camera teams can access it and know what extra equipment to expect during the course of the shooting block. It also means they can print out whatever they need. Much of the story in first two blocks was shot on our sound stages in a “Paris” apartment. This comprised a truly epic and opulently designed and dressed two story set, complete with an “open air” courtyard that was big enough for a horse-drawn carriage. Wall-hung tapestries, open fireplaces with real flames, and parquet floors that we couldn’t damage or stick camera tape to. The props department covered any out-of-vision flooring with long rolls of blue carpet, or we used Ram Board. Brian Milliken, our sound recordist carries dozens of rubber backed barrier mats which he uses to deaden footsteps, and to which we can stick camera tape for marks, so between us, we were able to work efficiently. Steve likes dolly movement, so we boarded the floors for many setups and I ran the Chapman Hybrid, my own Technohead, and Panavized Amira or Sony f55 in full “studio” mode. However, much of the coverage for Metin’s blocks was handheld and on long focal length lenses. Wide shots were shot on 50mm lenses, whilst close-ups were on 100mm or more. This presented a tough challenge for my 1st assistant camera, Chris Shaw, but one he mastered, especially as we were often asked to shoot the rehearsal. I am a longtime user of the XCS Ultimate and I’ve configured my rig with a shortened dovetail plate. I usually keep the bridge plate on the camera base for Steadicam or handheld. I also have a dovetail plate on my Techno head and O’Connor, so mode changes are super quick for the AC’s, require fewer tools, and typically take less than seven minutes. 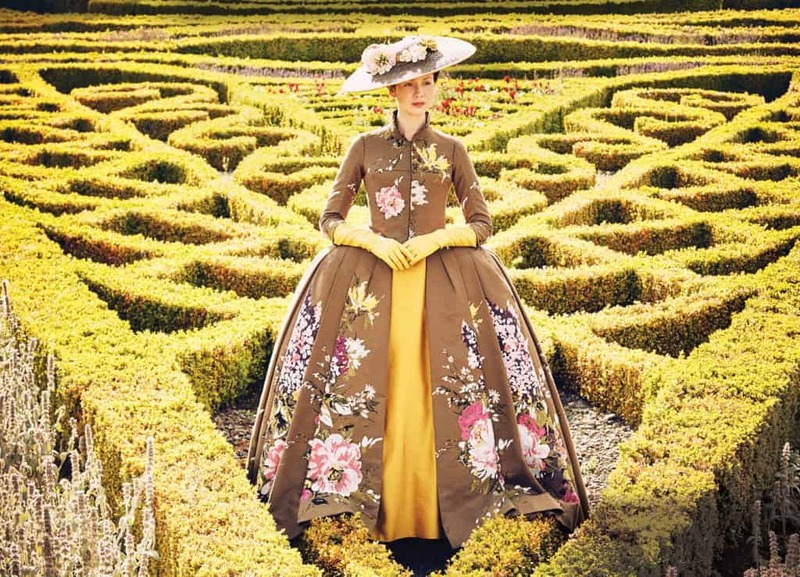 Caitriona Balfe is our heroine and the story is told from her perspective. So when I was planning the shot choreography, I developed a series of protocols with Chris vis à vis focus and who to follow at any moment in time. Cait appears as number one on the cast list, so if I said to Chris, “Rule number one,” he knew I meant rack focus to Cait. Sam is number two on the list, so “Rule number two,” meant pull to him and so on. We had an understanding though that if he had any doubt, rule number one should apply. On the other hand, there were times where I would ask him to ignore the dialogue and to rack focus to what he saw and what was story relevant. Other times, I would initiate a camera move, and ask him to follow my lead. Sometimes I would ask him to trigger a rack focus on a dialogue or action cue and I would follow HIS lead. There were even times when we’d do what the director told us (smiles). A typical day will start with me reading the sides over breakfast and briefing the crew about what to expect of that day’s shooting. If we’re on location, I may also jump into the production office to see if there are any major changes that might make an impact on us. I like to linger on set whilst the director is rehearsing with the actors, since it gives me an early insight into how the director plans to cover that scene. I often use my iPad with the Hollywood Shot Designer app to quickly plot the actor’s moves, and I’ll also plot some camera positions as suggestions for later discussions with DP and director. Using this app also allows me to communicate to the rest of the crew the intended coverage. Another invaluable app on my iPad is Artemis Director’s Finder. I used to use a MKV finder, then later on I used the Artemis on my iPhone, but having the image on the larger iPad screen is much better. Also, I’ve found the ability to take a picture of the intended framing is invaluable for discussions with DPs, directors, art department, and the sound department. When they inevitably ask, “What will you see?” I simply take out my iPad and show them. On my iPhone, I also have pCam, so I can whip it out of my pocket and calculate a matching frame size for example. Also on my iPhone I have Sun Scout, which is particularly useful for plotting crane positions for exteriors. 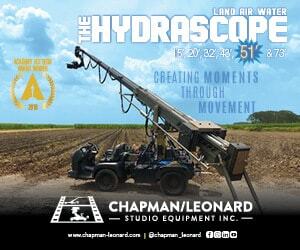 As well as geared heads, fluid heads, Steadicam and handheld, we use a range of cranes amd jibs. The Fisher arm is particularly popular with our key grip, Tim Critchell. This will often be paired with the KFX Aurora remote head. We keep both of these for the run of the season for those occasions where we need them. Other times we will rent a more substantial crane from Panavision like the Moviebird 44 with a Scorpio stabilized head. Our locations are very often in the beautiful but rugged Scottish countryside, so the crane is often mounted on an all terrain motorized vehicle called the Taurus. 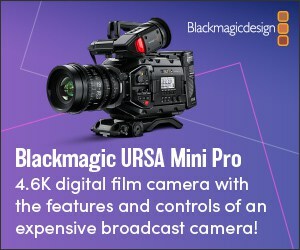 Since this package has to be sourced from over 350 miles away in London, we have to think very carefully to justify its use, but many times it’s the most cost-effective way of achieving a sequence of shots. New this year, we sourced a cable rig system. This was rigged in a forest location for director, Mike Barker’s block and it helped us to shoot a chase sequence where our heroes are riding on horseback. We combined this coverage with a camera on a 30′ Technocrane mounted on a tracking vehicle so we could get up close and personal with our actors. Credit here must go to key grip, Tim Critchell and his team. I don’t know how they held onto that crane whilst we drove on those twisting, muddy forest tracks with the camera inches from our horses and actors whilst I was safe and snug inside the cab, turning the wheels and issuing instructions over the intercom to them and the driver. We also used the TowerCam for a staircase sequence. It proved particularly difficult, since the stairs were in a rectangular space with our actress moving at speed, then coming to a halt to look around, then run down the last flight of steps. The camera first had to descend to a predetermined height, then ascend to a predetermined height, then descend at full speed, locking a predetermined frame. In my down time, I like to research and on one such trip, I visited a company in Soho, London called nCam. I mentioned this to the Producer as a potential solution for Outlander since it allows the visualization of real and CG elements in real time. This proved invaluable on a sequence of shots that had to composite real elements to 18th century CG in a green screen shoot. Half of this season’s story takes place in 18th Century Paris. This meant a company move to Prague in the Czech Republic for exterior sequences. Prague is like any other capital city so it’s busy and you cannot stop it just because you want to film. This necessitated careful planning and scheduling of our five shooting days there, often getting to locations at dawn, setting up and shooting before the tourists arrived. We interfaced with a Prague-based production entity for this part of the shoot and they were fantastic hosts, and managed to get us access to some of their most treasured buildings and monuments. 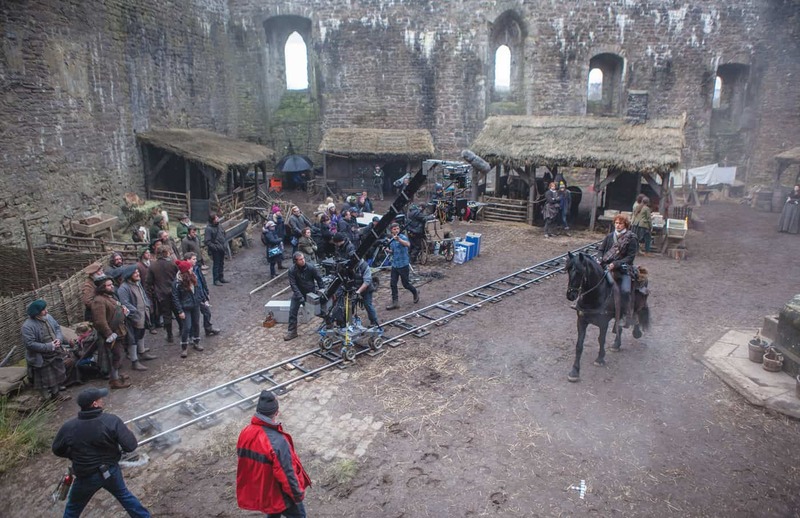 Outlander is based in Western Scotland which has a particularly wet and changeable climate. In the winter months it can be freezing cold as well. The Scottish camera crews are particularly adept at coping with this, and managing the camera systems. We have taken our cameras into places you wouldn’t willingly take your laptop to and they have kept the cameras and lenses going. On one memorable occasion, we lost two E-Z Ups to the driving rain and wind, but the crew somehow kept the cameras dry and working until we wrapped. We all know that camera teams are the most appropriately dressed crew members on set and in Scotland, in the winter you have to take this aspect of your “shooting kit” seriously. I’m a big fan of salopettes and I wear my Páramo ones all day and either Páramo Aspira smock or Canada Goose on my top half. For base layers I take advice from the Swedish and wear Woolpower on my legs and either Woolpower or an Icebreaker from New Zealand on my top half. I am most known for wearing a USAF sage green flight suit. In fact, many people simply don’t recognize me when I’m not wearing one. 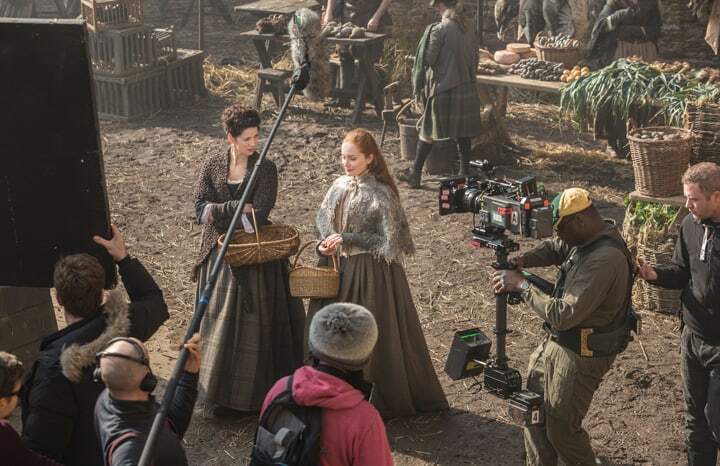 In summary, Outlander, Season 2, like the first season, was a tough, grueling assignment that required a great deal of skill, experience and endurance in some of the toughest filming conditions. However, that also made it very rewarding and I hope the results speak for themselves. Claire Randall (Caitriona Balfe), Jamie Fraser (Sam Heughan). © 2014 Sony Pictures Television Inc.
Andrei Austin, associate BSC, SOC, ACO was a nominee for the 2016 SOC Camera Operator of the Year Television Award. His love of photography was ignited on his twelfth birthday when his parents gave him a manual SLR film camera. He quickly became proficient and progressed to developing his own black-and-white film and printing photographs in his home darkroom. In 1984, he started his career at the UK national broadcaster BBC as a trainee camera operator. Quickly progressing, Andrei found his true vocation shooting television drama, first with electronic cameras, then on Super 16 film, the medium predominant at that time. 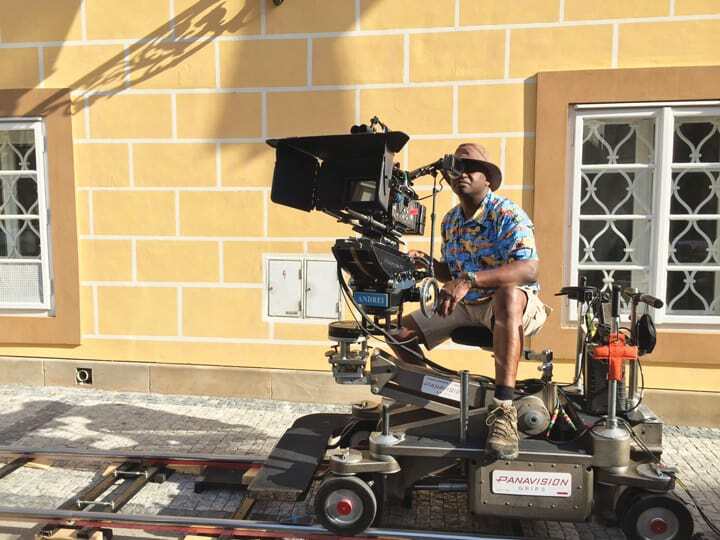 Developing into a skilled Steadicam operator, Andrei left the BBC in 2000 and carved out a career as a freelance camera/Steadicam operator in film, television, and commercials.